How heat therapy, core strengthening, stretching and cranial-sacral therapy can prolong relief from pain. Boosting quality of life through tips that help prevent back pain. Breaking the chain of events that can follow a lumbar strain. Why postural evaluations can extend the benefits of massage. Reduce Low Back Pain: 4 Tactics You May Have Overlooked - For the millions of people suffering with chronic low back pain, massage therapy will likely give some relief. However, find out how including four typically forgotten tactics into a treatment plan can substantially increase massage's benefit to your clients. Low Back Pain: Five Tips for Massage Therapy Clients - As a professional administering one of the best modalities for low back pain relief, massage therapists can also help their clients prevent low back pain from recurring. Neuromuscular Therapy for Lumbar Spasms - Based on the work of Drs. Janet Travell and Raymond Nimmo, neuromuscular therapy, or trigger point myotherapy, is an appropriate and effective technique for medical and sports massage. Learn why neuromuscular therapy is recognized as one of the most effective types of bodywork for relieving lower back pain. The Why and How of Postural Evaluation -Incorporating a postural evaluation in each client assessment can help bodyworkers customize massage sessions. Learn why and how this skill can maximize client benefits and satisfaction. I really enjoyed this course, very useful information. I really like the postural evaluation techniques of this course. Extremely easy to understand and the articles are super helpful! Great information and I will use the information in my practice. This course, since it was only 1 credit and it when pretty quick, straight to the point. I really enjoyed the materials and also like that you give references at the end. I can't wait to try a other course. Very good information! Can't wait to incorporate the information I learned into my massage therapy practice. It was very worth taking the time to read and refresh my education especially reviewing the questions that I missed. Excellent presentation keep up the good work. Another great course! Very helpful - particularly the postural evaluation section. Thank you for an enhanced perspective. The Low Back Pain course was concise, informative and helpful. It will benefit my practice and personal life as well. Thank you for this opportunity to learn more about this subject. I love the layout of the course materials. The information was clear and to the point. It was easy to unterstand and the information presented was very helpful. Great Course, will use this site again. Interesting information, some I was aware of but new insights also were presented. An excellent refresher with some additional information thrown in. Thank you! These courses pull the information together for me like a quick reference of my class courses and is excellent for review and testing, which keeps me on track, for the goal for my practice. Definitely, low back pain is a primary complaint from my clients. This course was very helpful, it refreshed my memory on certain tips, and at the same time gave me some new tips to share. This course helped me think of new things I want to learn more about & things to think about incorporating into my practice! Thank you! Interesting and to the point! Very good course of one credit. It was informative, and made alot of sense. Thank you, valuable info, well presented. Thank you so much for the NMT refresher. Makes me want to take an entire NMT class. I thought all this information was both interesting, and useful. I am now more knowledgeable about low back pain. Excellent material, helpful to me personally and professionally. I will use this knowledge in all my sessions. Good information format for handouts to clients. Excellent! Much more interesting than I anticipated! Thanks! I was leery of taking an online course, thinking it might be a "throw away" kind of learning modality, but I actually found it to be more supportive than I had imagined. In some ways, the material confirmed my knowledge base, which was a nice reminder that I do know something about this work I do and that I already incorporate a lot of it into my practice! At the same time, it opened my eyes to the benefits of continuing education courses and got me excited about exploring even more material in the future. Great and useful for my practice. Very interesting and refreshing information. This course was concise and to the point. It absolutely refreshed my knowledge of the lumbar spine. Loved this course! Gives very good information that is straight to the point yet gives good detail.Also shows you how to treat those with this problematic area. This is information that I will definitely share with my clients. Great information and very informative. It also interests me because it applies to my own personal back pains. I found the material very helpful. Your materials are easy to use, but even for a seasoned massage therapist, they provide good review as well as updated information. Very knowledgeable and informative. Actually enjoyed this course. I had a little trouble initially when loggin in. I called the institute and within two mins the problem was solved and I was ready to log in. As for the information provided in the study guide and it's relation to the test, It was very straight forward. No trick questions. I have already signed up for another course! I love these little articles as classes! I always learn something new. Great tips for helping manage lower back pain. I learned more about the benefits and uses of Neuromuscular Therapy and Craniosacral Therapy. That has prompted me to look at learning more about maybe and taking classes in those subjects. Good, informative basic course on low back pain. Timely reminder to complete postural assessments regularly. This was an absolutely fantastic course. Not only does it help you understand some of the most common causes and treatments for low back pain, it also gives you a list of questions for a postural evaluation. Since 4 out of 5 adults will experience low back pain at some point in their life, this will benefit nearly every client you have. Totally worth the money and time spent to learn the information. 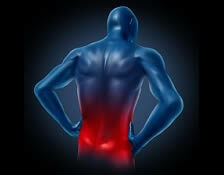 Provided new insights into the causes and treatment of low back pain in an enjoyable manner. Having experienced low back pain, this course was a great review of what and what not to do to avoid further low back pain. I enjoyed the course, and it kept my interest to the end. Short and straight to the point and very informative. Arthritis is extremely common, so I will use this information at work. Great information! Informative and easy! Its like attending an on-site CEU. Excellent delivery in concise information. I was hoping for more in depth muscle imbalance patterning, commonalities in such, vertebral related symptoms, etc..., however I suppose for a 1 credit course it makes sense it was bare basics. Still an easy & fluid read. All of the articles were very clear and interesting. My first on-line course. Definitely will be taking more on-line CE courses here. Nice and easy course. Learned some new information that will benefit my practice! This is the first course I have taken from the Institute. I like the format and testing you use. It's very organized and easy to do. Thank you. Identify and explain four therapies used to alleviate low back pain. Identify and explain five different ways a person can relieve low back pain as well as identify statistics on the use of massage to help ease low back pain. Explain what a lumbar spasm is and how neuromuscular therapy can be useful in alleviating its symptoms. Describe the use and explain the importance of postural evaluation in a massage therapy setting and identify the most common things to look for and ask the client.